Ethnic Wa rebels in eastern Burma (Myanmar) have shut down at least 10 churches recently, also closing dozens of churches, detaining more than 90 Christian leaders with the aim of restraining Christian activities. This, leaders of the Lahu Baptist Convention said in a statement released late September, adding that about 42 students were forced to serve as the United Wa State Army (UWSA) soldiers. 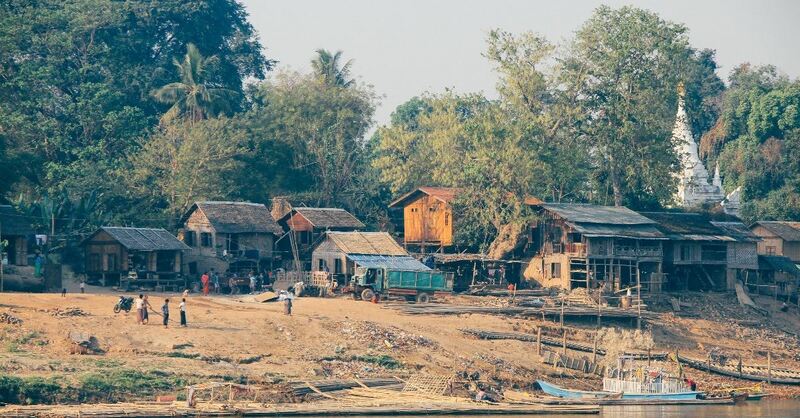 Morning Star News (MSN) reports that 52 churches in Mong Pauk Township have been shut down, and the UWSA destroyed three church buildings and removed all Christian symbols such as crosses, according to the ethnic Lahu Christian leaders. A few religious schools also have been shut down. “The Wa officials instructed Christians in Mong Pauk not even to worship at home these days,” a local Christian leader told Morning Star News on condition of anonymity. “Wa soldiers are holding arrested Christian leaders and students in Mong Maw town, a stronghold base of the Wa rebels,” said Tat Jack, a local resident whose relatives are detained. On a UWSA-run television program, it was stated that the UWSA has arrested and interrogated the religious leaders for violating organization regulations and laws prohibiting foreigners to serve as religious leaders in Wa-controlled areas. It also accused some detainees of forcing ethnic people to convert to Christianity. Dr. M. Hkawng, chairman of an ethnic Kachin political party, the Kachin National Congress, has said that missionaries improve the lives of ethnic minorities in the Wa region, educating them and enabling them to travel to overseas to Japan, the United States and other countries to pursue their education. Some Christians suspect Chinese authorities are behind the recent aggression against Christians. The country is ranked 24th on Christian support organization -Open Doors’ 2018 World Watch List of the countries where it is most difficult to be a Christian.